Cascarones – shown on a Mexican oil cloth tablecloth. The Easter bunny container is one my mom used in her decorating when I was growing up. 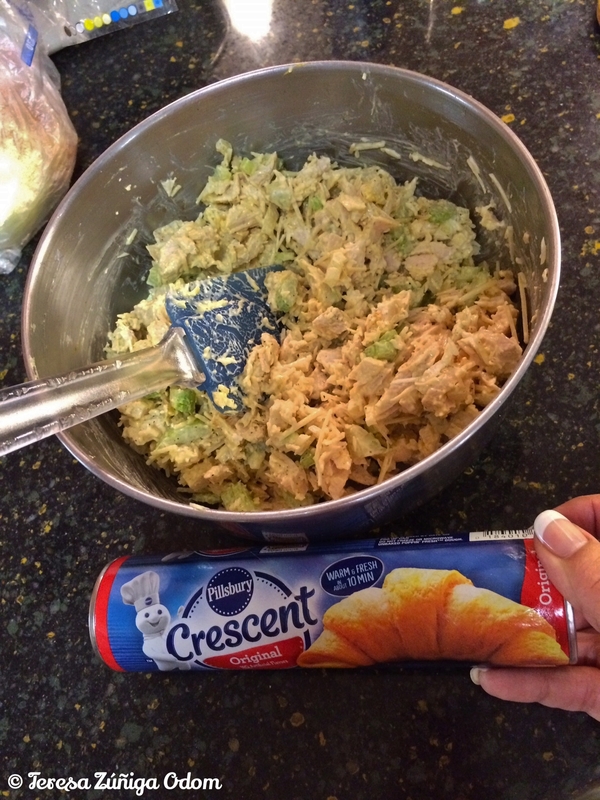 Easter is just a few days away and every few years I try to introduce a new fun aspect to our family Easter gathering. One year it was a brightly decorated chocolate chip cookie cake instead of the usual brownies, cakes and pies. 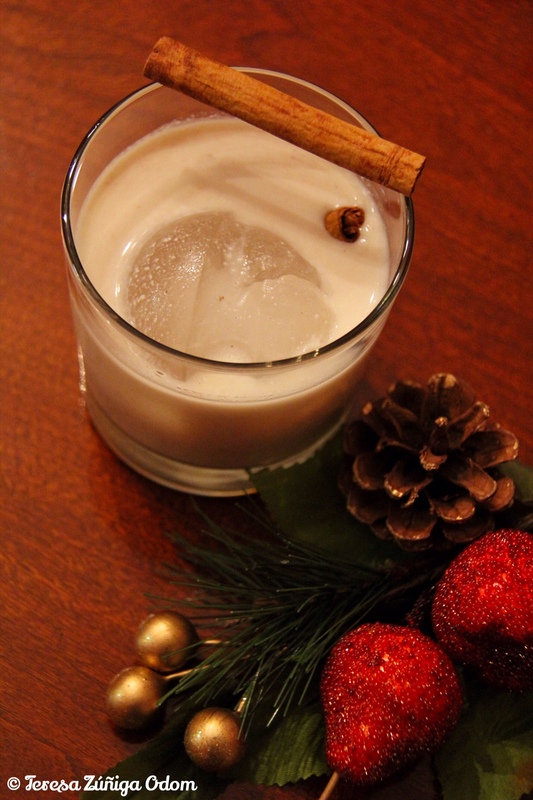 It turned out to be a huge hit and still remains a crowd favorite with a few family members (ahem…cough…David and Emily!) who have a hard time waiting until after lunch to dig into this sweet treat! Well this year I’m introducing “cascarones” to the family! So, what’s a cascaron? 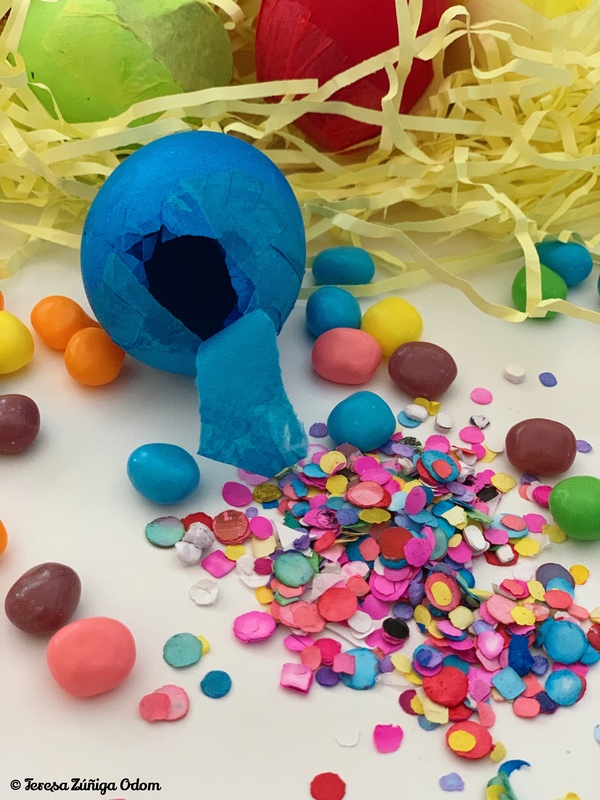 It’s basically a hollowed-out egg filled with confetti! I’ve known about cascarones for quite awhile but I can’t say that they were something we made or enjoyed when I was growing up. 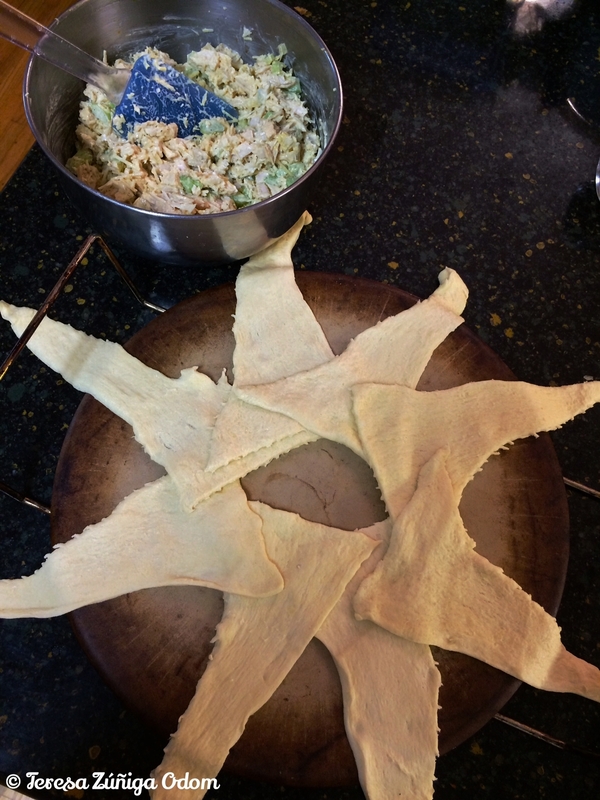 Doing a little more research I discovered they are a Mexican tradition that gained popularity in the Southwest, in particular, at Easter time for many families. 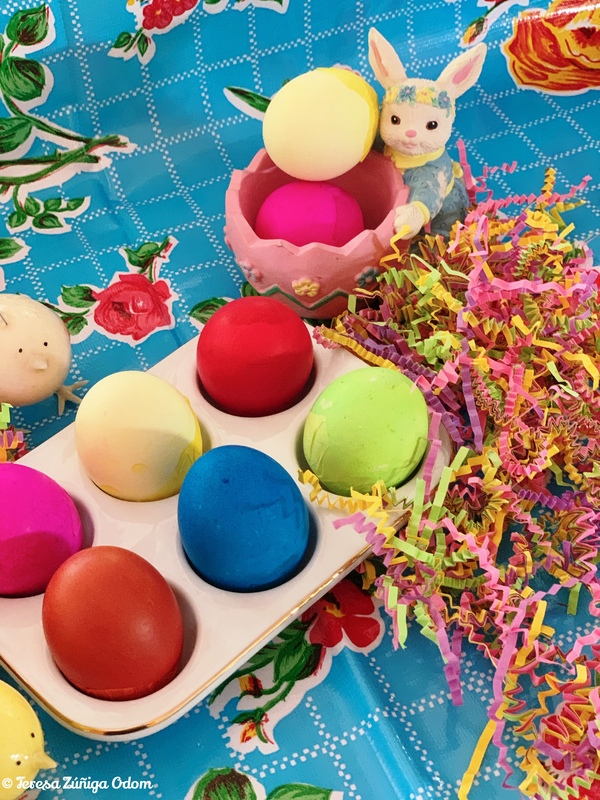 Some say it was like a merging of Latino traditions and the American tradition of dyeing Easter eggs. Because of the confetti, they are something also frequently used for other celebrations like carnivals, New Years, Cinco de Mayo and even at weddings…although they can also be filled with rice for that particular event! Tissue paper is glued onto the eggshell to keep the confetti inside the egg. 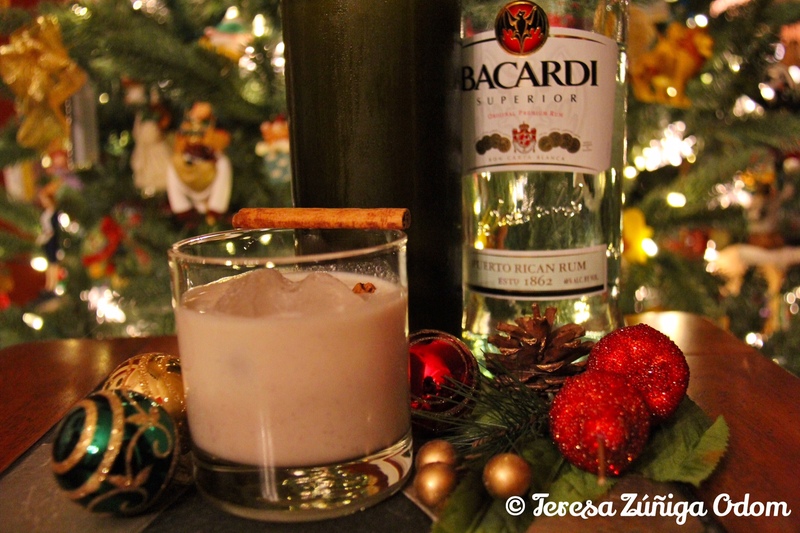 You may be wondering how cascarones are used. I figured there had to be a tradition that goes along with these confetti filled eggshells. It’s said that if you make a wish before you break it over an unsuspecting person’s head, your wish will come true. Another school of thought is that the good luck goes to the person who gets the egg cracked on their head! Of course, it’s best to crack the egg in your hand so the confetti pours out on the person rather than actually hitting them with the egg!!! So Felices Pascuas/Happy Easter to everyone! If you celebrate Easter, I hope you enjoy a wonderful day celebrating the Resurrection of Jesus with your families. And if you made cascarones or enjoyed them in the past, I would love to hear about it! Meanwhile… let the cascarones crunching begin…and I do hope since this will be a first for my family that they will observe proper cascaron cracking etiquette!!! 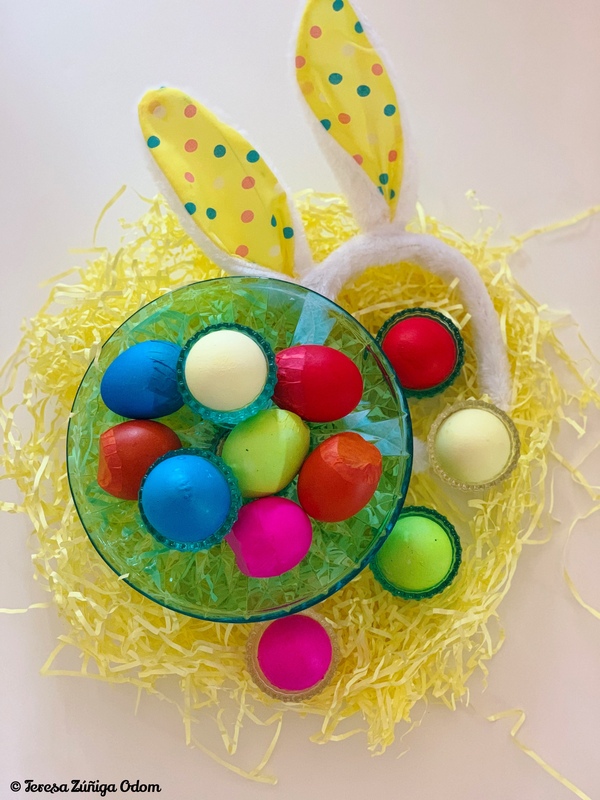 This entry was posted in Familia, Holidays and tagged Cascarones, Confetti eggs, Easter, Felices Pascuas on April 18, 2019 by Southern Señora. 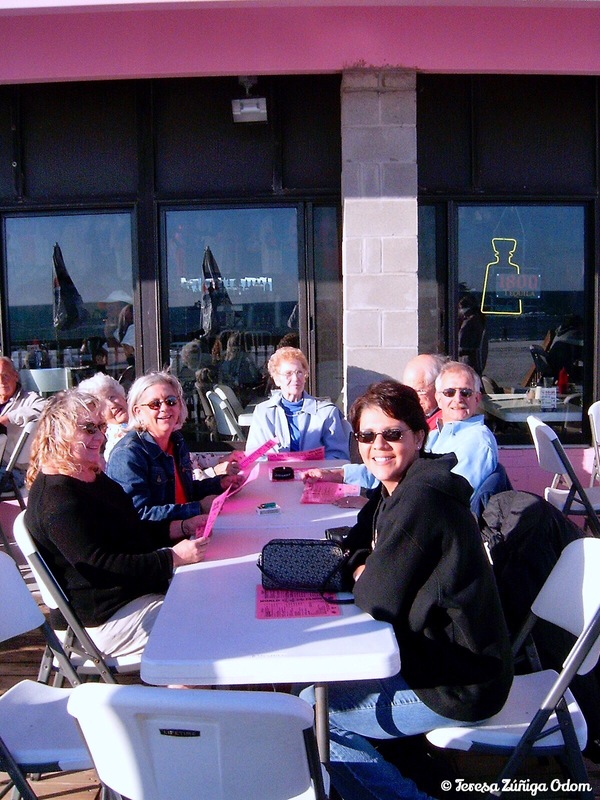 In 2005, we spent Thanksgiving at the beach. It was a first for the Odom family. We had always spent the day at my husband’s mom and dad’s house in Jasper. But my mother-in-law, Johnnie, had been wanting the family to spend the holiday at the beach and we finally all came together and got it planned. I don’t remember the name of the place we stayed but I do remember that we all booked rooms close to each other so we could come and go easily. When we arrived the first day, it was a sunny and windy day and we decided to head to the Pink Pony Pub for drinks and appetizers. Besides me and Eddie and our three kids, we had Eddie’s brother Terry and his wife Rhonda and their twin daughters, Kate and TJ. Eddie’s older brother Allen and his wife Rhonda were also there along with my mother-in-law’s sister, Joyce and her daughter, Debbie. We had quite a large group, much to our delight! Fun at the Pink Pony Pub! My best memory is of the family gathering at Pink Pony Pub. We sat outside and just enjoyed each other’s company. Our family tradition of taking a Thanksgiving photo on my mother-in-law’s swing was transferred to the deck of the pub that particular year. I remember the kids being adamant that we would take a picture to keep with tradition. I loved that they wanted to do this and not skip tradition just because we weren’t in Jasper. Then we took family group photos together. The one of me, Eddie and the kids is probably one of my favorites. We all huddled close together and hugged not just to keep warm but because we were all excited to be at the beach and together. I took the photo of my brother-in-law, Terry and his wife Rhonda and their girls – TJ and Kate. For the rest of the family, they posed around the table where we enjoyed food and drink. Family photo on the beach – we used this for our Christmas card photo that year! Love this shot of Johnny and Joyce squeezing lemon simultaneously in their tea. Trying to get a photo with my kids! 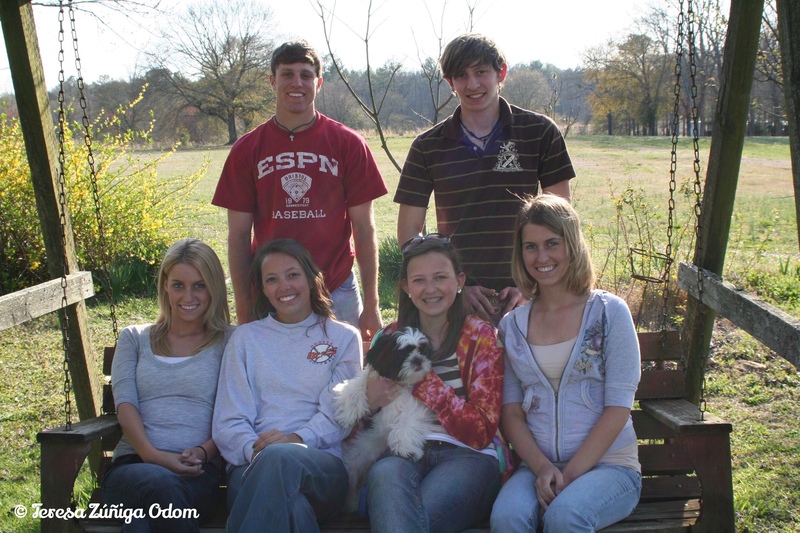 There we go…they look so little! 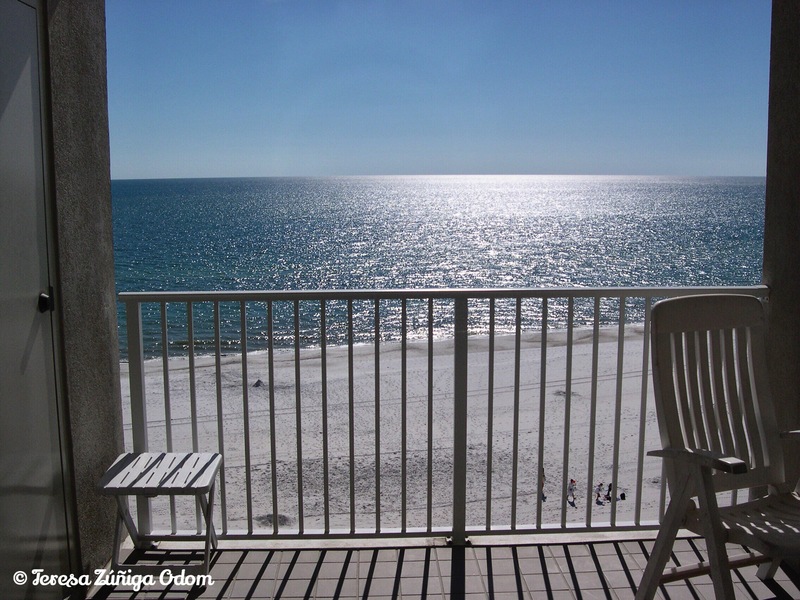 There is another great memory from that Thanksgiving at the beach and it was watching the kids play on the beach from our balcony. They had a kite they were flying and then they also did some writing in the sand. It was just great watching them all enjoy the beach from afar. I didn’t have the best digital camera at the time so the photos I took are a little grainy when I tried to zoom in, but it’s still nice to have them to bring back those memories. Johnny and Joyce take a walk on the beach. Love this photo…sisters on the beach and notice my mother-in-law Johnny is fidgeting with a disposal camera! She always had one handy! We also enjoyed a traditional Thanksgiving turkey and dinner that year at the condo thanks to the cooking of both of my sisters-in-law! 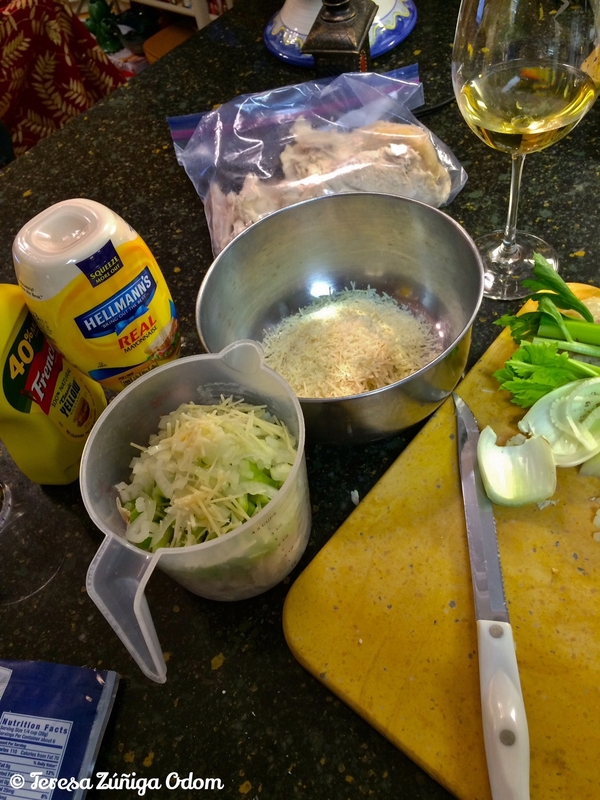 That was always a joke with the three of us since I didn’t do much cooking and they did…they used to just ask me to bring drinks, paper products and desserts! That was fine by me! They were both great cooks so why would I want to compete with that?!!! I remember telling them one year that all the sisters-in-law named Rhonda did the cooking and the ones named Teresa brought the fun! Ha!…and I still stand by that comment! 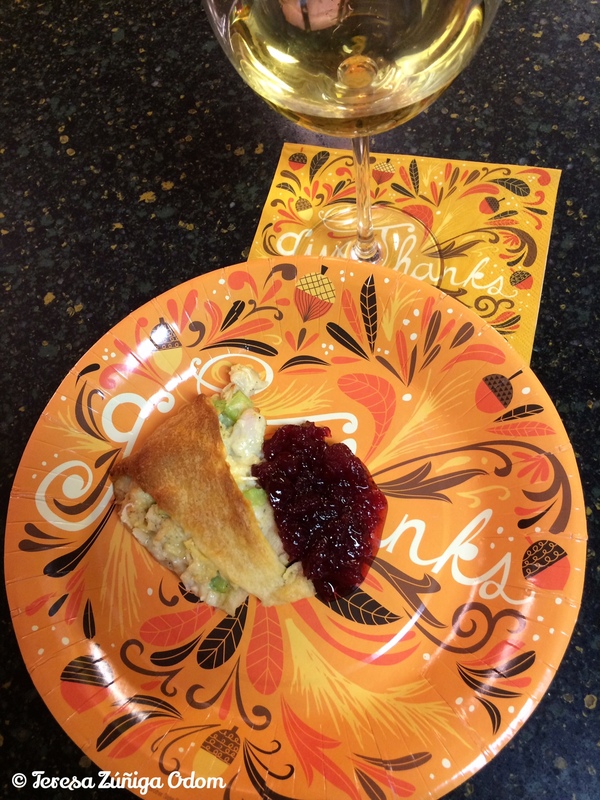 This entry was posted in Blog Like Crazy, Holidays, Thanksgiving, Travel and tagged Beach, Blog Like Crazy, Happy Thanksgiving, Odom Family, Pink Pony Pub, Thanksgiving on November 20, 2017 by Southern Señora. 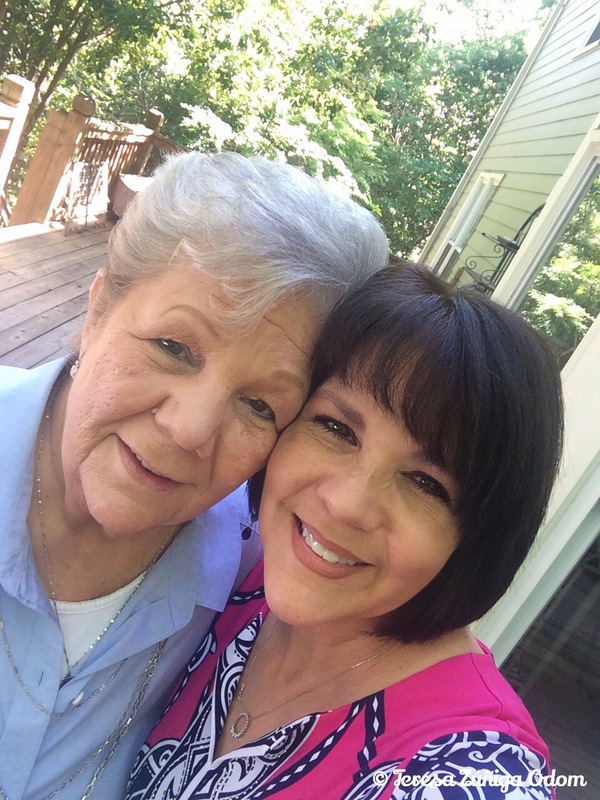 My mother – Barbara Zuniga – pregnant with me. I think this photo was taken late 1958 or very early 1959. Today is Mother’s Day…in Mexico! It’s always on May 10th, unlike in the US where it falls on the 2nd Sunday in May. Living in the states…we have always celebrated Mother’s Day on the 2nd Sunday but this year I was aware of more posts than usual from my Mexican friends on social media. It made me think about Mother’s day celebrations in Mexico, so I did a little googling this afternoon to see what I could find out about Mexico’s celebration. In truth, it’s much identical to the US celebration – children honor their mothers with gifts of flowers and food on this day, much like we will do on Sunday here in the US. Restaurant reservations are at an all time high – just like here. Looking back on the origins of the day are rather interesting though. In 1922 the idea of having Mother’s Day in Mexico was brought into the country from the US with mixed reviews. However, it is said that the government, media and Catholic Church got involved and set the date as May 10. In 1940, the wife of Mexico’s President Manuel Avilla Camacho declared May 10th a holiday and made it a state sponsored celebration. An interesting custom emerged from this too from the government. Disadvantaged women were invited to stores to pick a free gift. In 1942, the government did something even more interesting. They returned the sewing machines to women who had pawned them and then were unable to repay the loans. This cost the pawn market approximately $160,000! It was seen as a great gift though since these women used the sewing machines to help provide for their families. This was reported in Time Magazine. 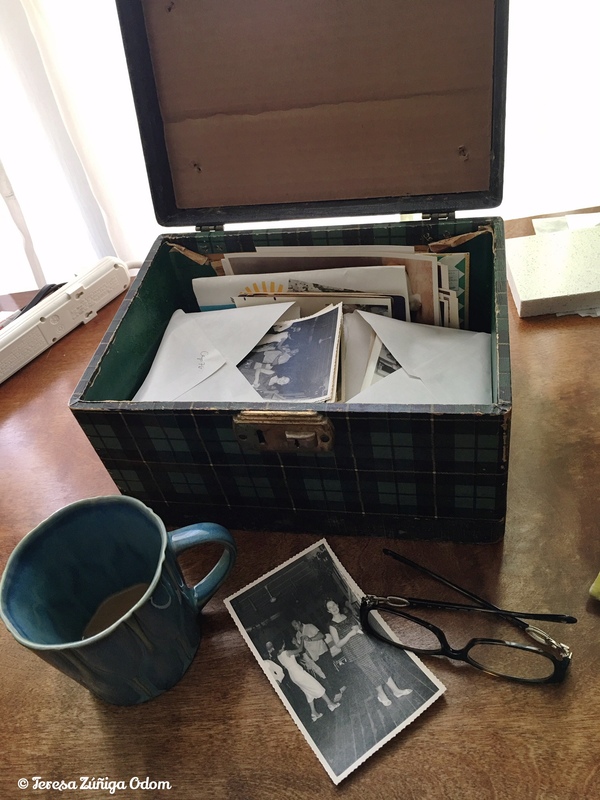 The box of photos my sister and I went through last fall at her home in North Carolina – many of these photos I had never seen before. I believe the box belonged to my late Aunt Gail – my mother’s sister. Today though…I’m thinking of my mother and the life she has lived. I’ll do this again on Sunday when we have lunch together, but today I’m getting a head start if you will. When I visited my sister, Kanista, last year in North Carolina, she pulled out a box of old pictures to go through together. There were several photos I had never seen before. 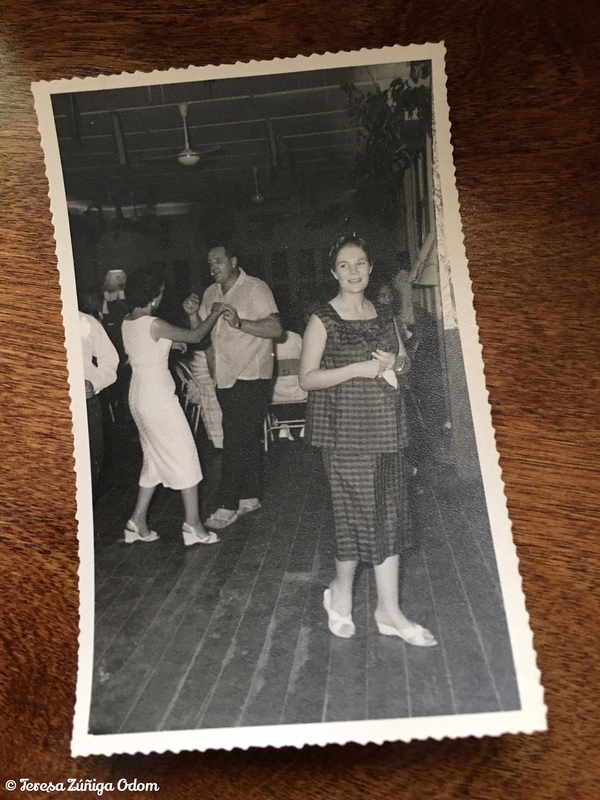 One in particular was of mom at an event in Cambodia – pregnant with me. She had on a cute two piece maternity outfit with her hair pulled back and wore cute little sandals. There were people dancing in the background having a good time. I know my dad took this photo of her. She’s smiling and looking off into the distance. I wish I knew exactly how far along she was in this photo…how soon I would make my appearance. People always tell me I look like my mother…it’s such a compliment because when I look at photos like this, she is just so beautiful to me. Still is… Feliz día de las Madres! This entry was posted in Holidays, Mexican, Mothers Day and tagged Cambodia, Celebration, Dia de las Madres, Mexico, Mothers Day, Photography on May 10, 2017 by Southern Señora. 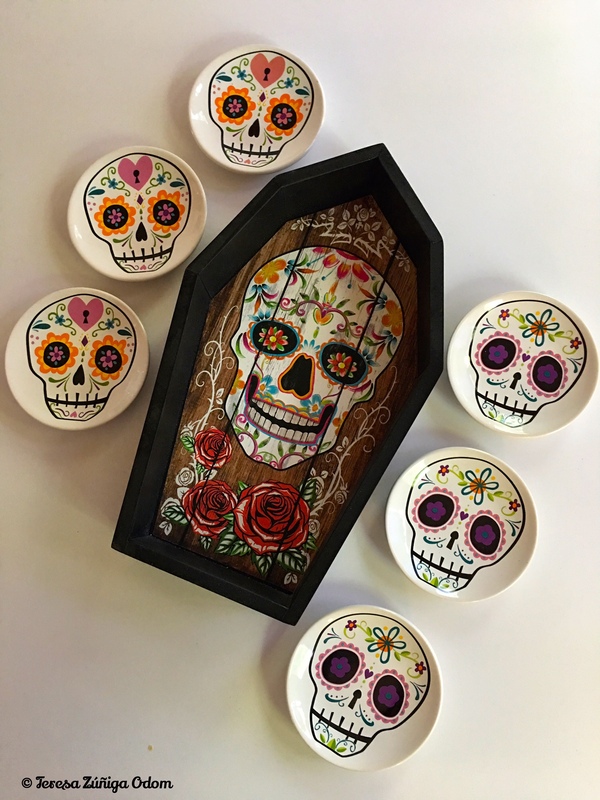 Day of the Dead Décor – It’s Everywhere! 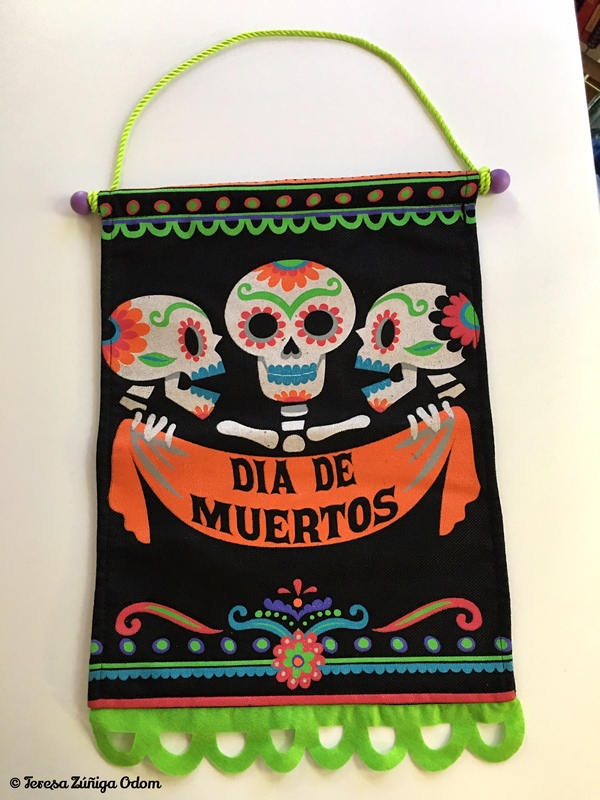 Every fall I look forward to discovering new Day of the Dead/Dia de los Muertos items to add to my growing collection. This year it seems stores had their items out even earlier than usual. The first place I always hit is World Market. Usually, they have quite a huge spread of items but this year the collection wasn’t as large. Mind you, this is always my “go-to” place for DOD items so in fairness, it could be that I’ve collected most of their items already! 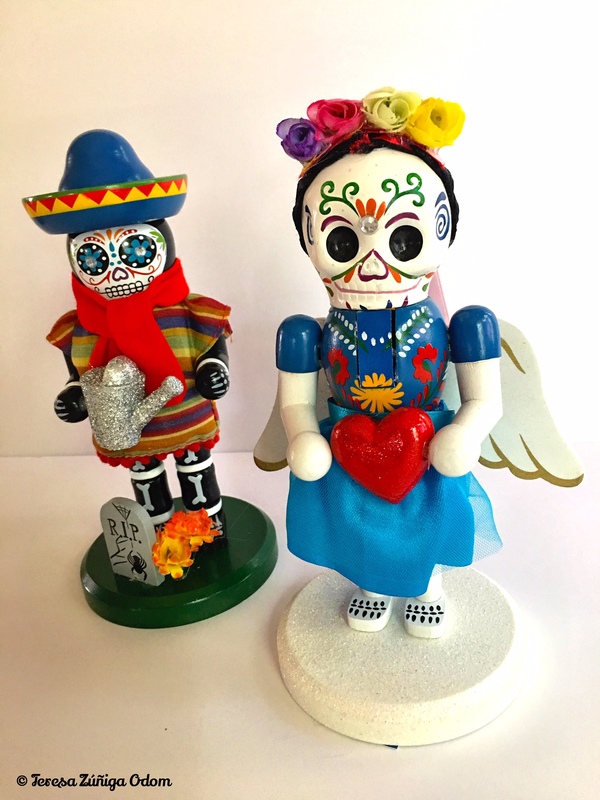 At any rate, over the course of 3 visits, I picked up some cute things including a Mariachi skeleton pillow, sugar skull measuring cups, sugar skull measuring spoons, 2 sugar skull nutcrackers and two ornaments – one sugar skull and one hot sauce bottle! I haven’t checked other stores in my area to see if they have a more robust collection in their stores…there is still time and I may do that, but I really do love the things I’ve picked up so far. 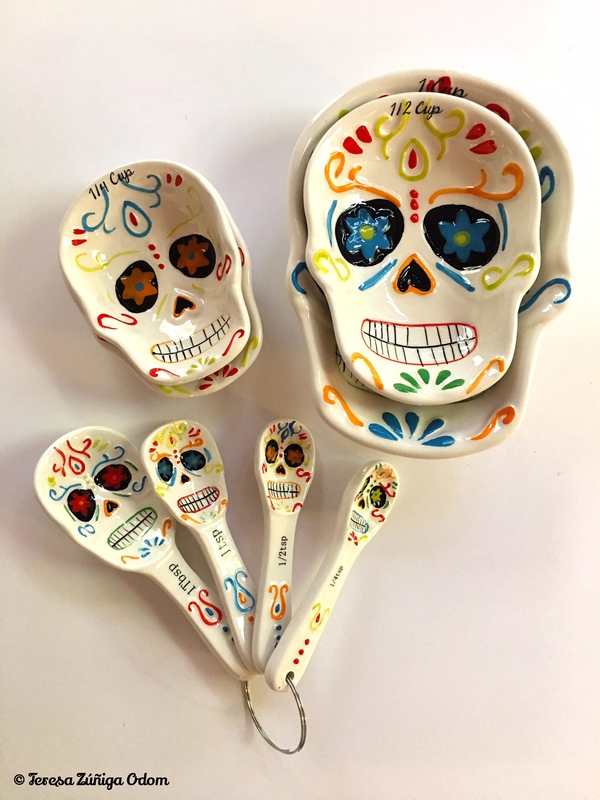 Sugar skull measuring spoons and measuring “skulls” from World Market. 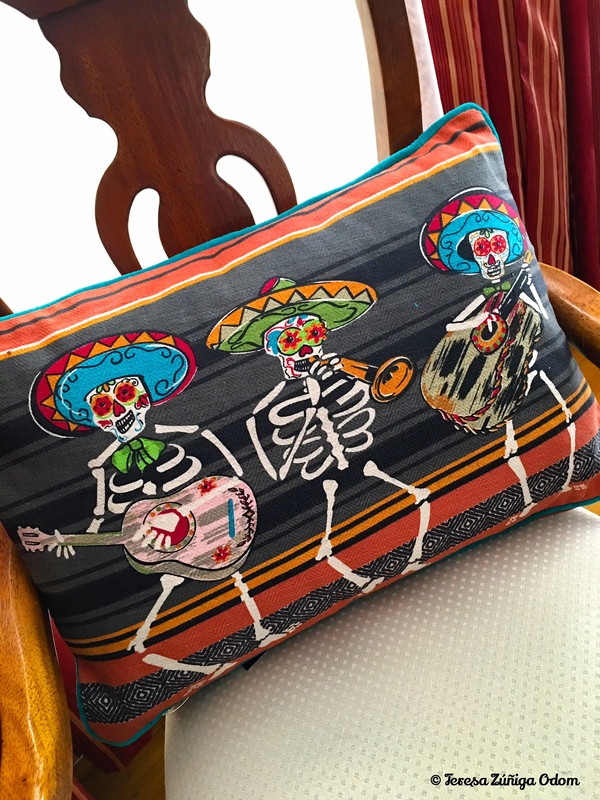 Mariachi pillow from World Market! So cute! Target is another place to pick up cute DOD items. This year, their selection was also a little limited. Again, I think I bought everything they had last year, including a door wreath which will go up on my front door the last weekend in October. 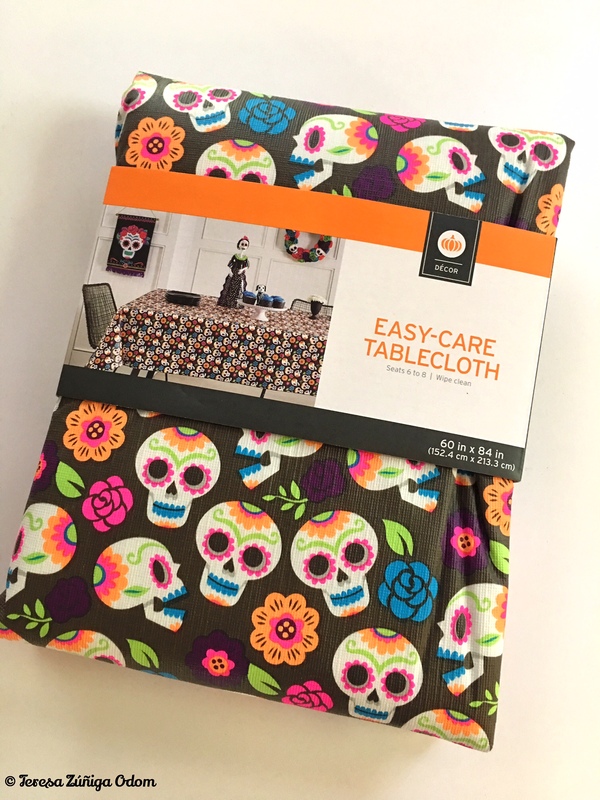 I bought a sugar skull vinyl tablecloth along with a DOD banner and a sugar skull dog statue. The tablecloth reminds me of the beautiful colorful Mexican vinyl tablecloths that my cousins always use in their decorating. 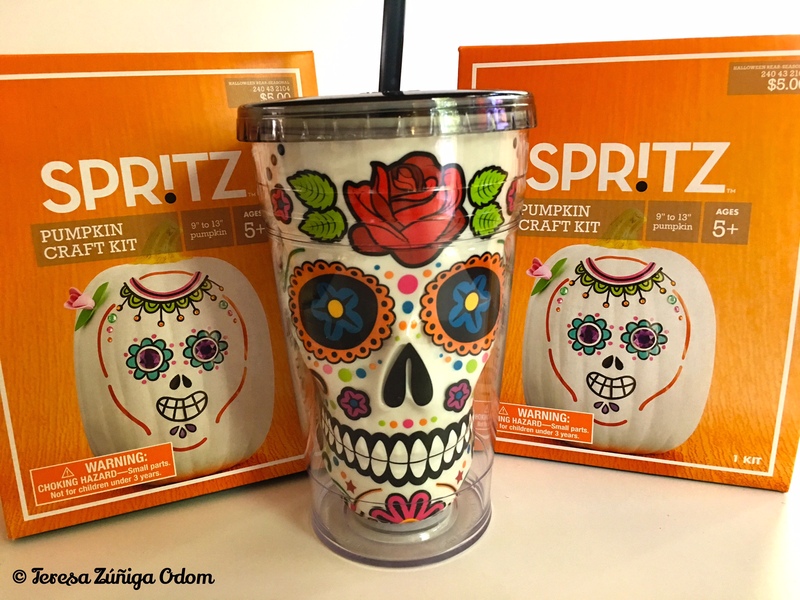 On another trip, I found a sugar skull cup and a kit to make sugar skull pumpkins. I bought two pumpkins over the weekend for Halloween decorating so I’ll convert those using the kits this weekend. Finally, last week I was in Michaels and saw an adorable DOD door wreath. I considered buying it as I walked through the store and then I turned down an aisle and found an entire display of DOD items! 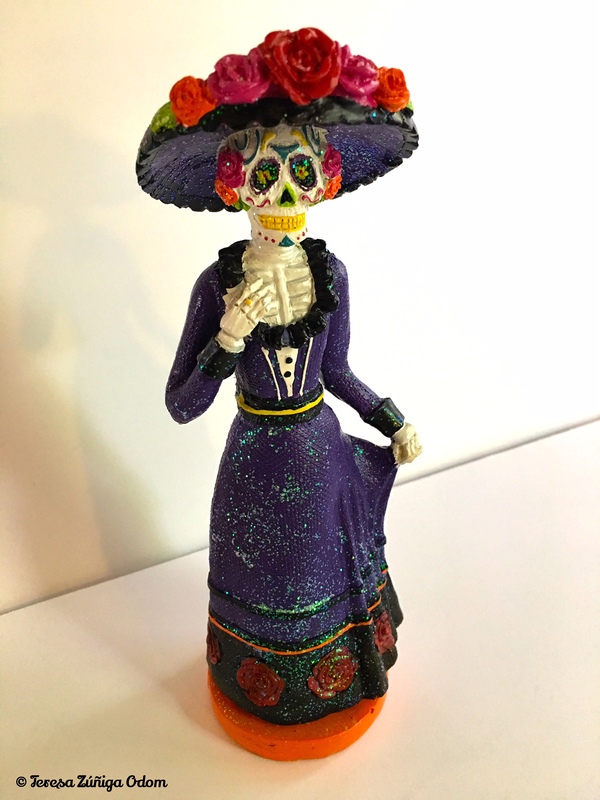 It would have been easy to go nuts and add everything to my cart but I took a deep breath and selected just a few things – a DOD “coffin”, 6 small sugar skull plates and a Catrina statue – an iconic DOD item that is seen every year at the local DOD Festival in downtown Birmingham! 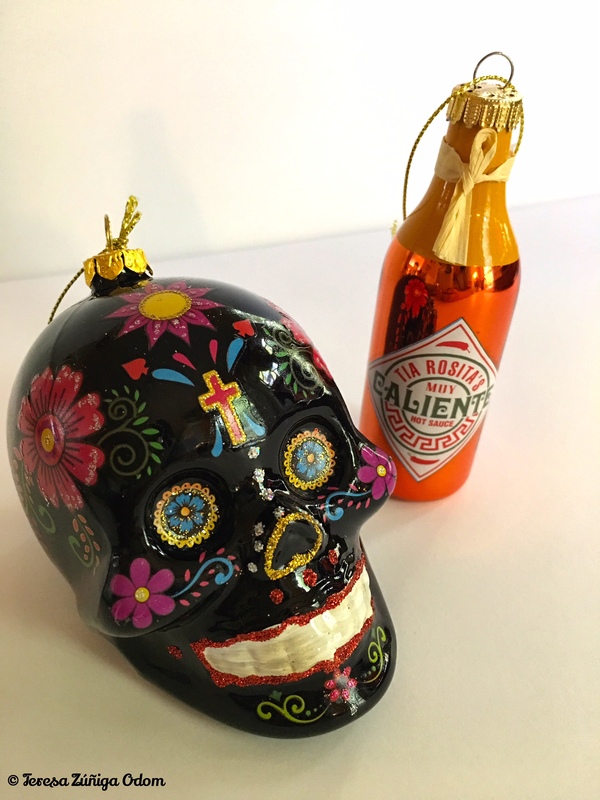 Honestly…it seems as though you can find DOD and Sugar Skull items all over the place these days. I always look forward to pulling out all my stored items as I prepare to make my annual altars and decorate my house. I think this year I’ll need to add another storage container for all my new items! Do you have any favorite DOD items? If so, please share them with me. I would love to see them and know what you do to celebrate Day of the Dead! 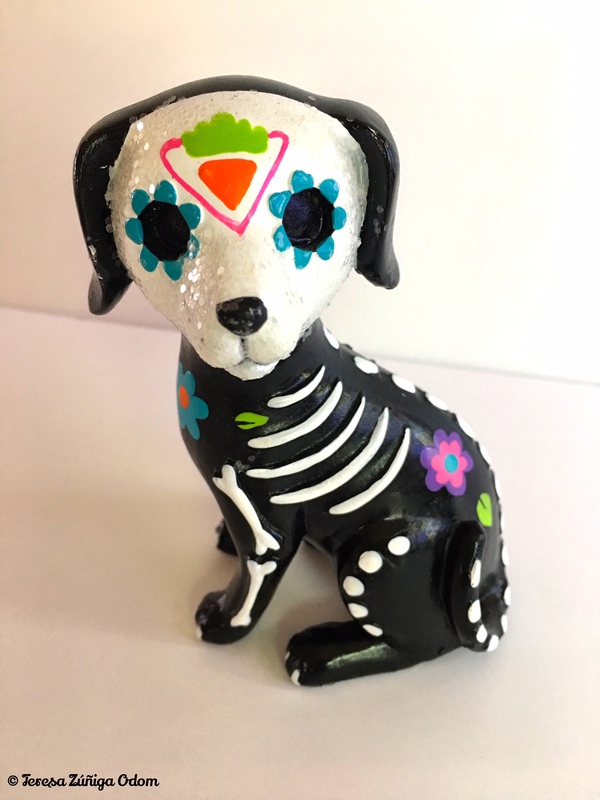 This entry was posted in Day of the Dead, Dia de los Muertos, Holidays, Mexican, Sugar Skull and tagged Day of the Dead, Decorating, Dia de los Muertos, Holiday, Mexican holiday, Michaels, Sugar Skull, Target, World Market on October 27, 2016 by Southern Señora.